efridge doesn’t force messages to stack up in a reverse-order column. A colorful sticky note can be placed anywhere on a user’s fridge. Sharing a note is as easy as drag and dropping it onto a friend’s profile pic. Notes can also be archived for later viewing. 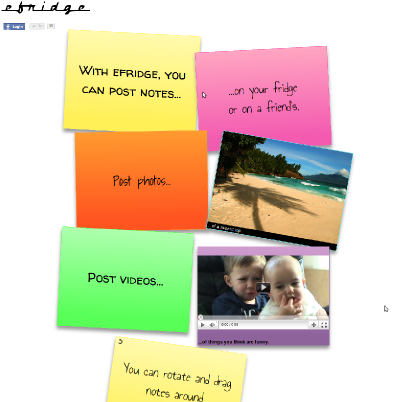 You can also post notes on strangers’ efridges, but these will be public for anyone to see.